North Humberside Motor Club was formed in 1968 by the amalgamation of the East Yorkshire Car Club, Hessle and District Car Club plus the Kingston Car Club. Known as NHMC we promote numerous motor sporting events throughout the year. We ran the North Humberside Forest Rally 21 times between 1987 and 2008. 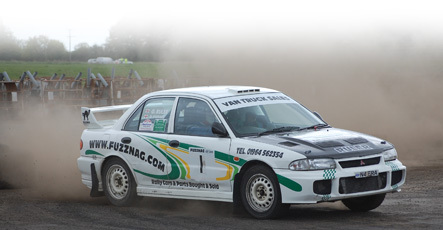 Our current events are the John Overend Memorial Stages rally, which is a multi-use mixed surface event on the former RAF base at Melbourne, near York, since a multi-use stages rally at Cadwell Park in Lincolnshire and new for 2017 a multi-venue stage rally on the Warcup military ranges in Cumbria. Members meet every Thursday, about 9pm, at the Ferguson Fawsitt Arms, Walkington, for a 'noggin and natter'. If you are interested in club motorsport come along and join us. NHMC is MSA Recognised and affiliated to the Association of Northern Cars Clubs, the Association of North East Midlands Motor Clubs, the East Midlands Association of Motor Clubs the Association of North Western Car Clubs and the Association of North East and Cumbrian Car Clubs.